Jazz is the secret of longevity. The jazz careers of Naoteru Nabeshima (vibraphone, 90 years old), Zenshow Otsuka (piano, 82) and Naosuke Miyamoto (bass, 79), the members of Kansai-based Golden Senior Trio, covers the whole “post-war” history of Japan, and each of them is a super-experienced musician who plays with their own group or solo. 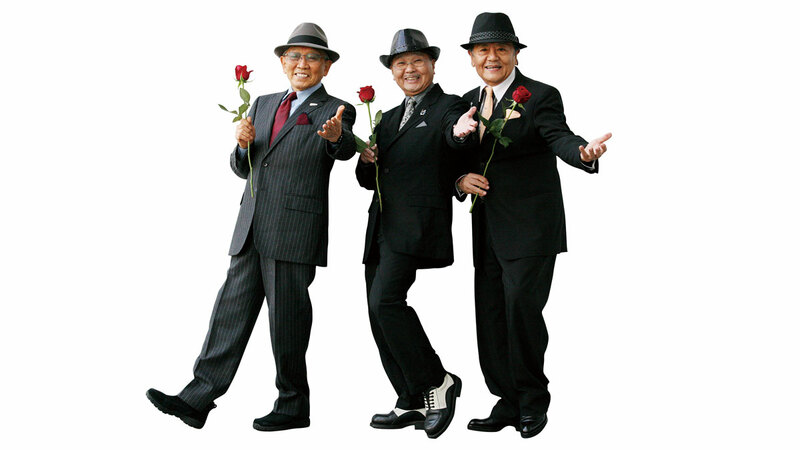 The trio is the Guinness World Record holder as the oldest band* (currently 251 years old in total), but they are also as young as eight years old (formed on September 18, 2008). The unique ensemble without drums requires tight control, but at the same time lets them flexibly move. This is going to be their first apparance as the trio in Tokyo. * Guinness World Records recognizes them not only as the oldest jazz band but as the oldest band in any genre of music (in their standards, a “band” has to have released at least one album and performed more than 20 concerts that are longer than 45 minutes in five years). Soon Kim, saxophonist from Osaka, studied the theory and practice of Harmolodics directly with Ornette Coleman, who passed away at the age of 85 the previous year. The whole picture of Harmolodics hasn’t been brought to light yet, but for him it is a philosophy that strips a player stark-naked, lets them identify the sounds that they want and enables them control music. Old School is a new trio that Soon Kim formed with internationally renowned Nobuyoshi Ino (bass) and Ichitaro (wadaiko Japanese drums) to pursue what he calls “Eurasian Harmolodics,” which is not orientalistic at all but totally original. This is the first performance by these members. Old School is their name, but expect music of the present day. Born in Tokyo in 1926. Resides in Kobe. Vibraphone. Began studying the violin with Kazue Ooka at the age of four. Self-taught the piano, influenced by Hajime Wada’s jazz piano, at around 13. Demobilized from the Imperial Japanese Navy Air Service, he entered the preparatory school of Keio University. Working as a professional drummer after the war, he encountered Emil Richards, the vibraphone player of the George Shearing Quintet, at the camp of the U.S. occupation force in Sendai and studied with him for two years. He formed his own quientet at 26, and after playing at U.S. military camps across Japan including Sendai, Aomori and Biwako, he settled in the Kansai area in 1959. Performed in Cellar Bar of Royal Hotel (currently Rihga Royal Hotel) from 1971 to 1972, and since 1983, he has been actively playing at Club Hanayashiki and many other live houses, hotels, festivals and TV programs in the Kansai area. Frequently taking study trips to New York from 1996 to 1999, he performed at Pittsburgh Jazz Festival in 1997. He also organized the well-received “SWING SWING KOBE JAZZ” with Toshio Takahashi the year. Released his album as the leader, When I Grow Too Old to Dream, in 1999. Born in Osaka in 1934. Piano. In the second year at Osaka Prefectural Kozu High School, he had an opportunity to compose the school song, which was his first composition and has still been sung by the current students. Started to play jazz when studying at Kansai University, and formed a jazz group “THE FRESHMEN” in 1959 with Takashi Furuya (alto sax). While leading the group, he also composed for a number of films, TV dramas and commercials, and he started many different activities after leaving the group to pursue his own music, especially his lifework cantata series Uemachi Daichi, the seventh volume of which he has been working on. Suite: Omote, inspired by the beauty of Noh masks, was released as a CD and successfully introduced to Europe in 1998 and 1999 including performance at Montreux Jazz Festival. 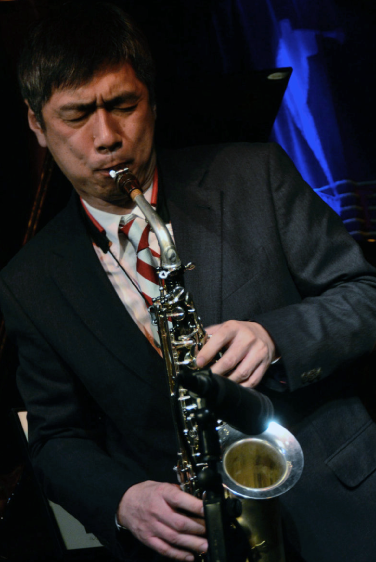 His long-awaited solo album, BE AMBITIOUS, was released in 2006, and he has recently been playing often with Zenshow Otsuka Quartet: Hisatsugu Suzuki (sax), Ryoichi Nakayama (bass) and Masatoshi Ueba (drums). Currently, President of a nonprofit organization Kansai Jazz Society. Born in Hyogo in 1936. Bass. He was already active while studying at Kwansei Gakuin University and was commended as the No. 1 young bassist. Picked out by George Kawaguchi for his “Big Four Plus One” in 1960, he played in Tokyo with such musicians as Sadao Watanabe, Akira Miyazawa, Masayuki Takayanagi and Masahiko Sato. Returning to the Kansai area, he continued playing with his own group and took part in sessions with Wayne Shorter, Cedar Walton, Curtis Fuller and Freddie Hubbard on their Japan tours. He was especially influenced by bassists Reggie Workman and Ron Carter, with whom he has since then deepened friendship. He is also an active producer, who has materialized the Japan franchise of Blue Note in 1989, produced the first album of Lewis Nash in 1993 and been the general producer of Nishinomiya Jazz 3DAYS since 2004. Among his recordings are Step! (1974), Poisonous Apple (1981), City Breeze (1988), Gotta Get Ready (Vol.1 & 2, 2000) and Hip Bop Plays Love Standards (2005). Currently, Vice President of the nonprofit organization Kansai Jazz Society. Born in Osaka. Began playing the alto saxophone at the age of 15. After graduating high school, played with rock, blues, reggae and jazz bands. Moved to Harlem, New York, at 23, where he studied the Harmolodics theory with Ornette Coleman and had sessions. Since then, building his own ideas based on Harmolodics, he has worked in the U.S., New Zealand and Germany and released (1989), Soon Kim Trio & Quartet (Konnex Records, 2007), Non-Transposed Sense (do., 2009) and Hotel the Strasse (Sun North Records / Chitei Records, 2014). Recently, based in Hachioji, Tokyo, he has been developing such projects as “Old School” involving Japanese wadaiko drums, “MURASAKI” with Noh otsuzumi drums and “Tower of Funk” with Vernon Reid, Calvin Weston and Al McDowell. Born in Mie. Joined Ondekoza in 1990 and studied with the founder Tagayasu Den. Performed in as many as 500 shows across the U.S., including four shows at Carnegie Hall, by 1993 and then played more than 2,000 stages in Japan and the world as a central member of the group. In 2004, he became independent and started solo activities. He presented a solo concert at Tokyo Bunka Kaikan in 2006, and since then frequently toured in Europe, Africa, the Middle East, South America and Asia. Received the Higashi-Kuninomiya International Prize in 2015. 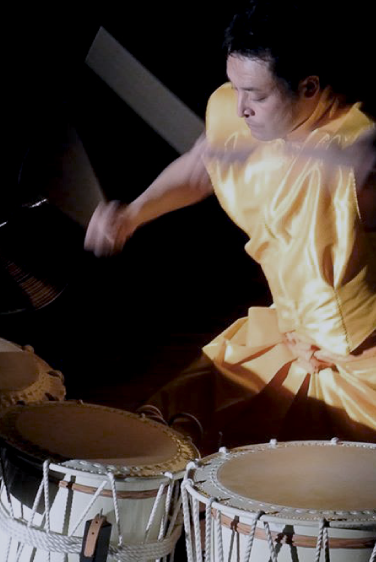 Not only working on Japanese traditional instruments but also collaborating with orchestra, jazz and rock, he has released ichitaro (2009), ichitaro #2 / Kaze no Melody (2013) and ichitaro #3 / Cruise (2015). Born in Gunma and was raised in Tokyo. Graduated from Gyosei High School. 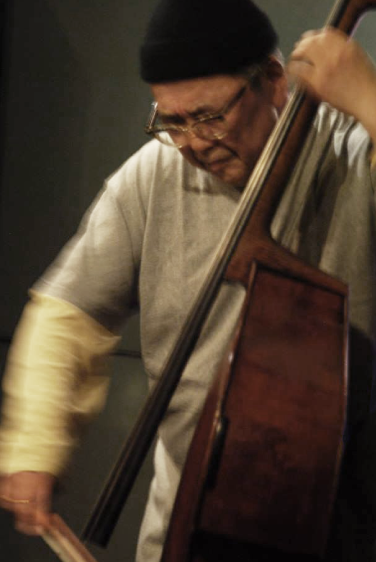 While at school, he studied classical contrabass and played with R&B bands at clubs, and a meeting with Masayuki Takayanagi in 1971 led him into jazz. Performed at Moers Festival (Germany) with Masayuki Takayanagi & New Direction Unit in 1980. Released his first album as the leader, Mountain, in 1981. Playing with a very large number of Japanese musicians, he has also been active internationally, being a favorite bassist of Elvin Jones and Lester Bowie. He has also been selected as a regular bassist for Berlin Contemporary Jazz Orchestra and Globe Unity Orchestra. Began solo performance in 1997 and duo with Tetsu Saito in 1999. Formed “Ub-X” with Ichiko Hashimoto and Atsuo Fujimoto in 2005 and released Ub-X (East Works, 2006) and Vega (do., 2007).